I just got a remington 700 sps varmint in 22-250, since I am reloading my 9mm and 38spl on the turret (the 9mm now on my LM I just shoot to much...lol) I want to reload for the 22-250. I never reloaded rifle ammo, so what do I need to know that we dont do when reloading pistol ammo ? 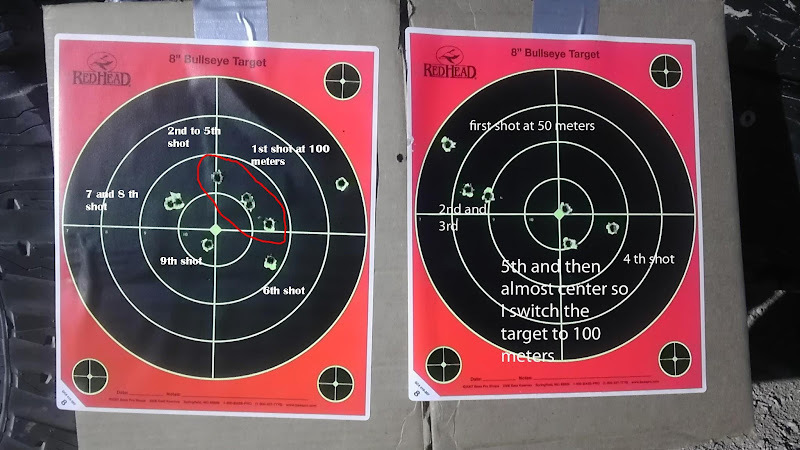 loic wrote: I just got a remington 700 sps varmint in 22-250, since I am reloading my 9mm and 38spl on the turret (the 9mm now on my LM I just shoot to much...lol) I want to reload for the 22-250. You need calipers to measure the cases, unlike pistol, rifle cases stretch and will need trimming at some point. You need to lube the cases before sizing,if you were using carbide dies for pistol you may not have been doing that. Get good dies and if you are using the brass in the same rifle it was fired in, you can just neck size until full length sizing is needed. I don't know how well the turret press will work, or how you will charge the cases. Last edited by dglock on Sat Feb 11, 2012 11:13 am, edited 1 time in total. I'm planning of buying new ammo / brass and reload them. I will not puck up somebody else brass. As Don said you need to trim the cases, if you are going to shoot them through more than one rifle you will need to do a full length resize otherwise neck size only, clean primer pockets, size flash hole and then you can load. I load them on my turret press, just remove the indexing rod and turn the turret by hand but if you have the classic turret press it will index alright. It may even on the standard turret press but I have just never tried it. I weigh each charge for all my rifle rounds above 223 and 7.62 X 39 but you could set your auto disk up to drop twice to get the load you want. If you do use the auto disk you will need a rifle charge die. I really enjoy loading rifle rounds on the turret press. Good luck and I hope this helps. Thanks, my turret is the "cheap" deluxe but it works well. The Lee URL you listed came up as a blank page. But even if you get Lee RGB dies they will work fine but will be missing the shell holder needed. Actually the RGB die are the same dies as pacesetters or the deluxe sets, but minus the extras. If loading for the same bolt rifle you might want to think about the collet die. They are well worth the money save in brass life expectancy and improve accuracy. As was said you will need calipers and eventually a case trimming set for your caliber and a chamfer too. take a look at this. http://leeprecision.com/case-condtioning-combo.html Just add a case length gauge and the specialized shell holder and trimming will be handled. Also case lube is necessary if using a full length sizing die as opposed to the collet die. I'm guessing you'll be priming on the press. BTW if you are on a strict budget do pick up range brass. It will work just fine. After cleaning be sure to inspect that brass to check for split nicks and signs of head case separation. I've been using range pick up for over 30 years and saved a lot of $$$ doing so. As DABoone said I would get the collet neck sizing die, the full length sizer as sooner or later you will need to resize your brass completely, of course the seating die and I would also get the crimp die. I never hesitate to pick up range brass too. If you want longevity on new brass I like Nosler or Lapua. Natchez or Midway always have a good selection of Lee dies. Let us know how that new rifle shoots. Cool, thanks. After work today ill try and install the rail and scope, ill probably have to bed the rail. If times allow and everything goes well, ill go and shoot it tomorrow for final scope adjustment. shot a few rounds with it and try and set up the scope. daboone wrote: The Lee URL you listed came up as a blank page.. Factory rounds or hand loads? If you do not have one , first get the Lyman reloading manual & read the rifle section 2 - 3 times . Maybe the Lee book , too . I suggest you get the Lee die set w/ the shell holder . As some have suggested , the collet sizing die would probably be worth wile for after the first firing . Without a doubt , a good caliper & a tube of Lee case lube . Probably the Lee trimming stuff for your caliber . I have the Lee cast iron turret press & I have loaded bottle neck rifle ammo in it , no problem . I still use it for rifle brass prep , before I finish up on the Lee LoadMaster . I like to use the Universal de-priming die , but I load a fair amount of range brass . But , .22-250 range brass is probably pretty scarce . I have a .22 Swift my late father-in-law gave me . I probably have not found a hand full of brass for it , through out the years . Some of the other calibers are fairly plentiful .